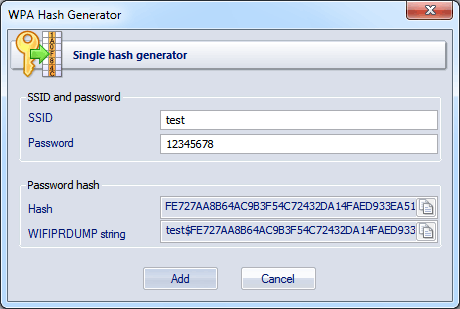 If you want to create a text file with a specific number of randomly generated WPA passwords, use the multiple-hash generator. 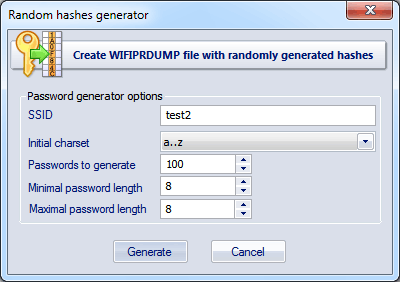 Just select minimum and maximum lengths (it is 8 by default), character range and the total number of WPA hashes to be generated. 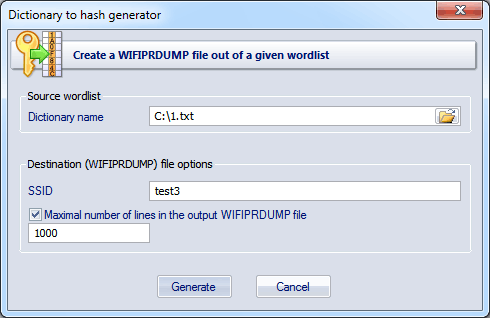 With the dictionary to hash generator tool, you can easily create a WIFIPRPWDUMP file out of a given word-list. This tool has a pretty simple interface. All you need is just to set up a source wordlist to read passwords from and a SSID name.